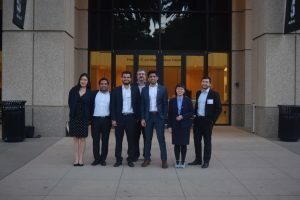 Six current and former students of MPGE professor, Dr. Catalin Teodoriu, and three students from the Reservoir Geomechanics and Seismicity research group lead by Dr. Ahmad Ghassemi, had the opportunity to travel across the country to California this month for the Stanfod Geothermal Workshop held on Feb. 12-15. 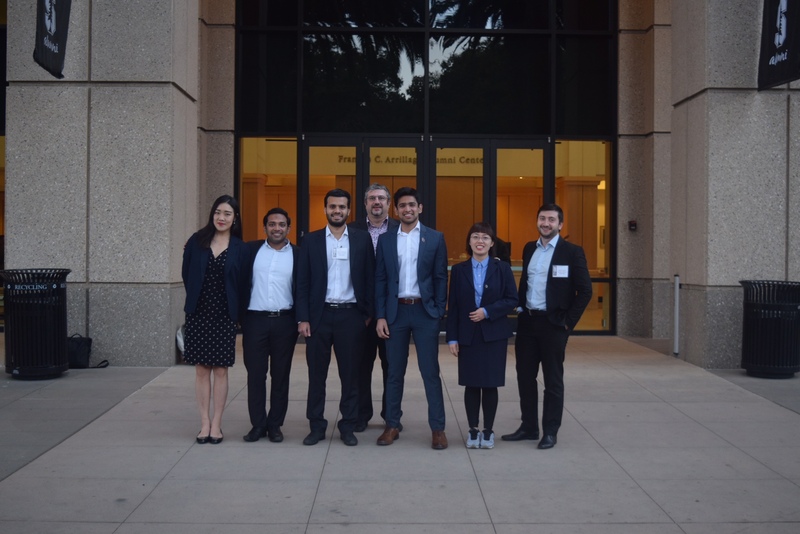 The students on the trip included Mi Chin Yi, Ziyi Xu, Michael Mendez, Saket Srivastava, Jocin James Abraham and Adonis Ichim with Dr. Teodriu’s group; and Lianbo Hu, Zhi Ye and Amirhossein Kamali from Dr. Ghassemi’s group. From Dr. Teodoriu’s grou, Xu, Srivastava, Mendez, Ichim and Dr. Teodorius gave presentations on geothermal well integrity, cement testing, plugging and abandonment, modeling and gas well conversion to geothermal in Oklahoma. From Dr. Ghassemi’s group, Hu, Ye and Kamali presented papers on experimental and modeling analysis of hydraulic fracturing. Along with Dr. Teodoriu, Ichim and Srivastava chaired a session at the conference. In addition, they were able to meet with professionals from the energy industry from all over the world. Through this experience they students were able to learn about the advantages and challenges of geothermal energy, as well as its commonalities with the hydrocarbons E&P sector. This trip provided the group more than just an educational experience. 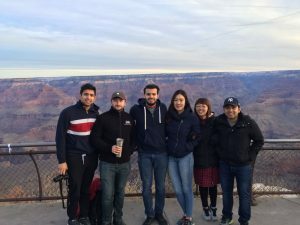 They travelled by car from Norman, Oklahoma to Stanford, California during which they wereable spend time with their peers, sample food along Route 66 and even stop to see the sunrise over the Grand Canyon! All the papers presented at the conference will be available to read here.